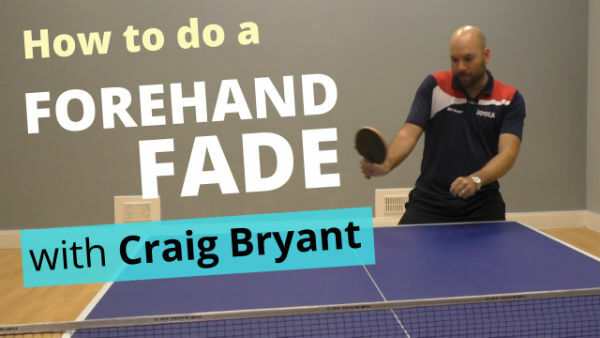 In this video, top coach and former international player, Craig Bryant, demonstrates how to do a forehand fade attack. A forehand fade is a variation of the traditional forehand topspin. You contact around the side of the ball to create some sidespin which sends the ball wide and this can really mess up your opponent. In the video, Craig demonstrates the forehand fade and I take on Craig in a forehand fade game. Can I beat Craig’s forehand fade? Thanks for this video! Will be trying this out in practice and hopefully be able to add some points in matches with it!